Welcome to the Midnight Bookaholic, I’m Victoria. 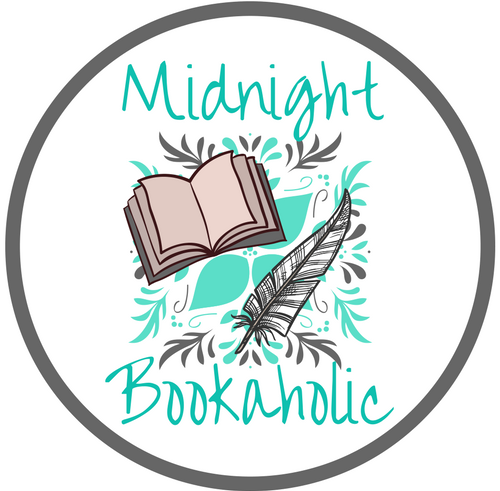 This is a blog focused on my loves: my beliefs, books, writing, and fandoms. In all honesty, it’s a bit eclectic like myself. To tell you a little about me, I’ve been a Christian for most of my life and am now attending Bob Jones University in South Carolina. I started as an Elementary Education major, but changed to an English major with a Literary focus at the end of my Sophomore year. Although I’m on a literature track, my focus is more on creative writing which is something I’ve found is a little different from other literary track majors. Choosing to study literature was a little bit of a difficult decision. I wanted to be an English major, but my university had just changed things so that Creative Writing and English-literature majors were all under the name English. But with a lot of deliberation, I decided to go with the literature track. My reasoning was and still is that to write great literature you need to understand what the classic writers wrote. I also have a growing love for the classics. My desire as a writer is to not simply write books that are interesting but rather write something that is lasting and influential. Beyond my major, I’m currently a part of the American Christian Fiction Writers Association which is an organization created to help Christian fiction writers meet and help improve each other’s writing. I also love to read and am a typical fangirl with some of my favorite fandoms being LOTR, Doctor Who, Harry Potter, Naruto, Shadowhunters, and Akagami No Skirayukihime. One thing I’ve learned as a college student is that your personality type can have a significant affect on various aspects of your life. For example, I’m an INFJ. And although I don’t let it define me, it has been helpful in pointing a lot of my faults and in teaching me why I feel the way I do at times. You see the INFJ personality type tends to be in between introverted and extroverted. We get drained from being with people, but we also get drained from being away from people. It definitely makes my social life interesting that’s for sure, but it also gives me the opportunity to be an observer which is something I feel is an important aspect for a writer. Why is literature so different from the Classics? I grew up in a family of readers and musicians. While it took me a while to learn to love to read, literature was always a focus in my family. My dad is a music teacher; and without fail, he would always stress the importance of practicing and reading books about your passions—in his case… Continue reading Why is literature so different from the Classics? What my father’s taught me. Whenever March comes around, I tend to reflect on my life more. And yes, I do realize that I’m only 22. But here’s the thing, I’ve lost a lot over my short lifetime. I also recognize that there are people who have lost more than me. But still, losing a parent at a young age… Continue reading What my father’s taught me. Why procrastination is a big part of being a writer. There are many stereotypes of writers, and one of the big ones is procrastination. Procrastination is one of those stereotypes that I wish wasn’t actually true about being a writer. I would love to be able to constantly write and put all of my ideas on a page, yet no matter how hard I try… Continue reading Why procrastination is a big part of being a writer.